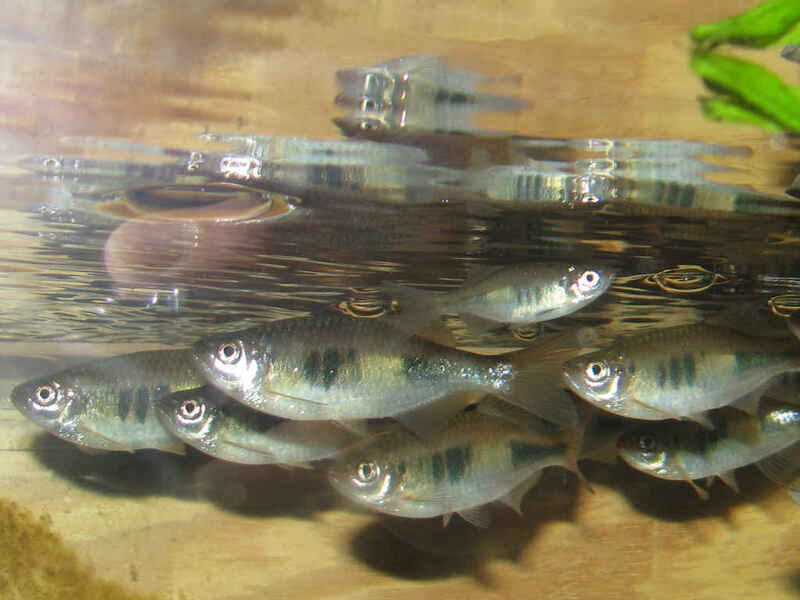 In July of 2012, I came into possession of some very hard to get Blue Moon Danio (Devario xyrops). My good fortune came about due to my friend Dr. Stephan Tanner of Swiss Tropicals. Stephan has some super contacts in the aquarium hobby and often comes into possession of fish that are nearly impossible to obtain. As I understand it, these fish came into Aqua Global in Germany as a bycatch of the fish collectors. In other words, when the collectors are out catching fish, they happen to net a few, often unidentified, fish in the process. Sometimes these fish go unnoticed when the exporters are shipping the main group. Devario xyrops comes to us from western Myanmar. 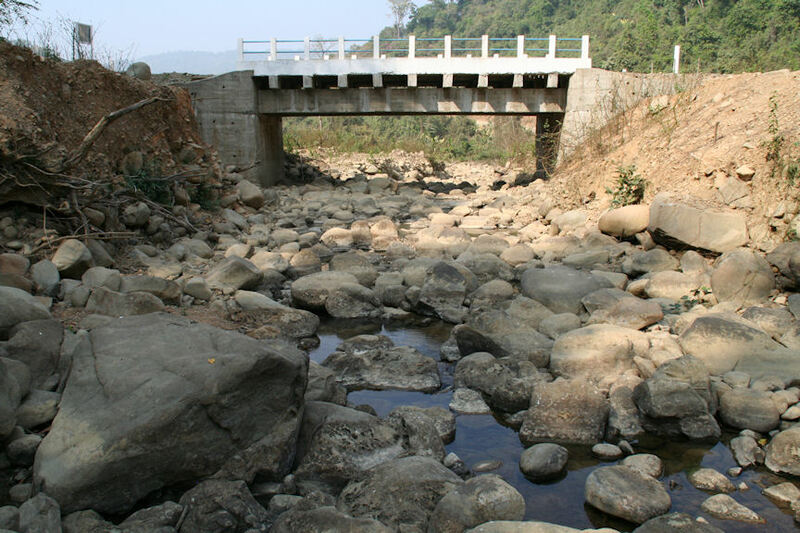 They live in small, seasonal streams with substrates of rock, cobbles and gravel and which are typically reduced to series of small, interconnecting pools during the dry season. Before being officially named by Fang Fang and Sven Kullander in 2009 this fish was often called Devario sp Broken line due to the very distinctive color pattern consisting of a dark blotch or series of dark bars at the head end of the body and a separate dark horizontal band. This distinctive color pattern fades as the fish age and the adults look quite different from the young fish. Starting out with just four of these fish, I set them up in a 20 gallon long tank with a generous portion of moss on one end of the tank. The tank was on a lower shelf and while the fish seemed ready to spawn they just never pulled the trigger. After a couple of months of no spawning activity, and being down to just three fish, I moved them into a 40 gallon breeder tank located on a higher shelf. This set-up had no moss, but did have a good bit of java or guppy grass growing in the tank. Feeding lots of live foods along with regular large water changes finally coaxed the fish into spawning. Surprisingly they do not appear to be aggressive egg or fry eaters. Although this may be in part to the tangle of guppy grass growing in the tank. As the adult fish never seemed to pose a threat to the fry, I simply let them grow up in the tank with the adults. Being in a large tank, the fry didn’t receive any special care on my part, but still grew at a fairly rapid rate. At about 6 moths of age, I removed the youngsters as I was hoping for more fry from the adults. I did get another fry or two in the coming months, but nothing to really write home about. At this time, (late December 2014), my F1 fry are old enough that I plan to set them up for spawning. As these fish don’t boast any spectacular colors or other traits, they may never really catch on in the aquarium trade. I would however, like to keep a breeding group and be able to pass around enough of these fish so as to keep them available here in the US.